I do a lot of cooking and my tools are important to me. This Silicone Slotted Spatula is a steal! It’s solidly made and the heat resistance up to 480 degrees makes this tool highly versatile. The spatula also stands up to the dishwasher – many items of this type do not – but after baking I tossed it in the dishwasher and it came out just as new! Preheat oven to 350 degrees F (175 degrees C). In a medium bowl, cream together the butter and sugar. Stir in the eggs and vanilla. Combine the flour, baking powder and salt, stir into the butter mixture until dough comes together. 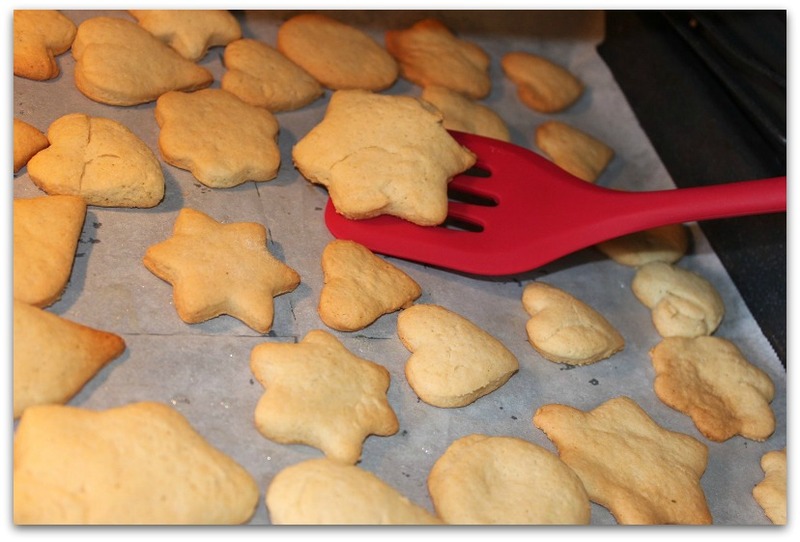 Roll dough out ¼ inch thick and use whichever cookie cutters you like. Place them on an unprepared cookie sheet about 2 inches apart and decorate with colored sugars. Bake cookies 10 to 12 minutes in the preheated oven, until bottom is light brown. Remove from baking sheets to cool on wire racks. 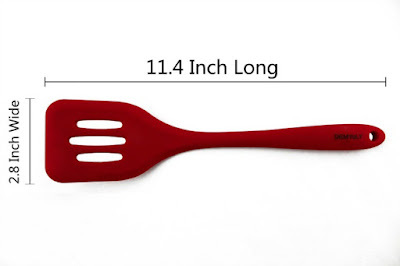 The Silicone Slotted Spatula Turner by DEMYLY lists for $16.99 and currently on sale at Amazon for $7.35! How could not grab this bad boy for your holiday cooking?